What is the frequency converter? Frequency converter outputs the AC power to pure sine wave after the transformation of AC→DC→AC, the output frequency and voltage can be adjusted within a certain range. 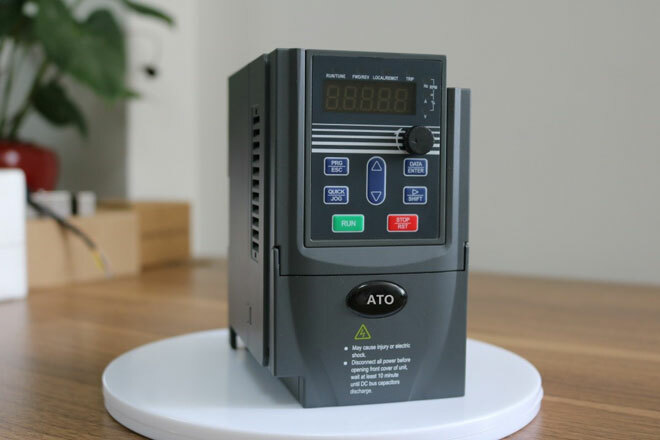 It is different from the variable frequency drive (VFD) used for motor speed regulation, and also different from the common AC regulated power supply. An ideal AC power supply is characterized by stable frequency, stable voltage, zero internal resistance and pure sinusoidal voltage waveform (without distortion). Frequency converter is quite close to the ideal AC power supply, so more and more countries use it as standard power supply to provide the best power supply environment for electrical appliances, so as to assess the technical performance of electrical appliances. VFD is composed of AC-DC- AC (modulation wave) circuits, and it shall be called as variable frequency speed controller by standard. Waveform of its output voltage is pulse square wave with many harmonic components. Voltage and frequency change proportionally at the same time and can not be adjusted separately, which does not meet the requirements of AC power supply. In principle, it can not be used for power supply, and variable frequency drive is generally used for speed regulation of three phase asynchronous motor. The whole circuit of frequency converter consists of AC-DC-AC-Filter Circuit, so the output voltage and current waveform are pure sinusoidal, which is very close to the ideal AC power supply. It can output the power grid voltage and frequency of any country in the world. There are essential differences between VFD and frequency converter. As the power grid indicators in the world are inconsistent, export electrical appliances manufacturers need power supply to simulate power grid conditions in different countries and provide appropriate voltage conversion, as well as providing pure, stable, low harmonic distortion, high stability frequency and constant voltage output of sinusoidal wave power to engineers in their design and production, production tests, product tests, service life, overvoltage/low voltage simulated test. However, VFD brings a lot of difficulties for load tests, such as high vibration and electromagnetic noise, large temperature rise, and the instruments can’t work normally. 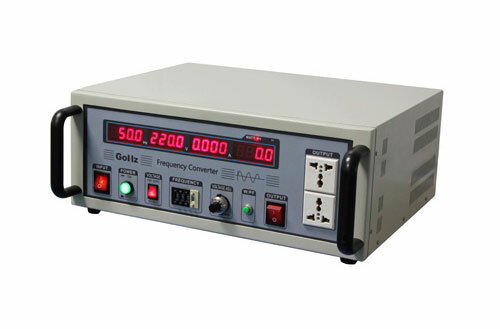 So the frequency converter that can provide a pure sine wave output becomes indispensable power equipment in laboratory. Frequency converter outputs the AC power to pure sine wave after the transformation of AC→DC→AC, the output frequency and voltage can be adjusted within a certain range. It has been widely used and can fully replace the functions of VFD, it can better protect equipment and can be used as a general power supply. Frequency converter can output the grid voltage and frequency of any country, it can also be applied to loads with various impedance characteristics, including resistivity, capacitance, inductance and other non-linear loads, it’s quite close to the ideal AC power supply. It shall be noted that different load types require different power capacities of frequency converter.